General Motors produced its Vortec series for the first time in the mid-1980s. The creation and use of this Generation III series helped provid decades of success for GM. The Vortec 5300 series is a V8 size found in pickup trucks and some SUVs. The Silverado 1500 was the first installation of this engine in the 1990s. This motor is rebuilt inside of our facility to provide the quality that GM truck owners and installation companies require. The major difference here at rebuiltengines.co is in the way that our builds are completed and shipped to customers. The average block and 5.3 motor ranges between 250 and 300 hp. This power range is provided by the long stroke of these motors. 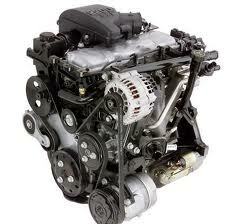 Both the GMC and Chevrolet vehicles that use this series engine are known for the power and high torque offered. The builds that take place inside of our facility are specifically designed to produce OEM units. These units are comparable in every way to original General Motors build. It is the pricing that separates our company from some dealerships selling at full retail price. Measurements and calibration are important for every engine. One of the advantages to a reconditioned motor compared with a used one is the results that are found through testing. Tests can reveal a lot about the internal and external condition of any motor. Measuring compression, mileage and fuel efficiency help to prove each motor is in sellable condition. The investments in time and technology that are found through our company help us to maintain our reputation. Thousands of engines are shipped by our company annually. The dyno testing that is accurately performed inside our facility is one example of our quality commitment to customers. Testing the 5300 series is our way of ensuring no damage or defects are present with each remanufactured engine. Shipments are big part of the replacement engines industry. The correct order shipped to the wrong location can happen if companies are not careful. Our team eliminates the issues that are found with some sellers online. The internal controls set our company ensure all engines that are shipped directly to customers arrive in the same condition as when tested. Agreements with freight companies have been made to ensure timely delivery and damage free operation. All of our quality is completely backed up by a three-year warranty honored by our company. OEM parts, mechanic installation and other inclusions in the warranty help our customers get extended value after installation. Price quotations are the method we use to distribute pricing attached with every engine. These quotations include important information about shipment, warranty and delivery details. Online quotes are generated through our system hundreds of times daily. Entering data into our form ensures it is immediately processed by our experts. Toll-free telephone numbers are available to speak with our experts. Questions can be asked and accurate information supplied in return. Getting a V8 GM engine is effortless to our company.